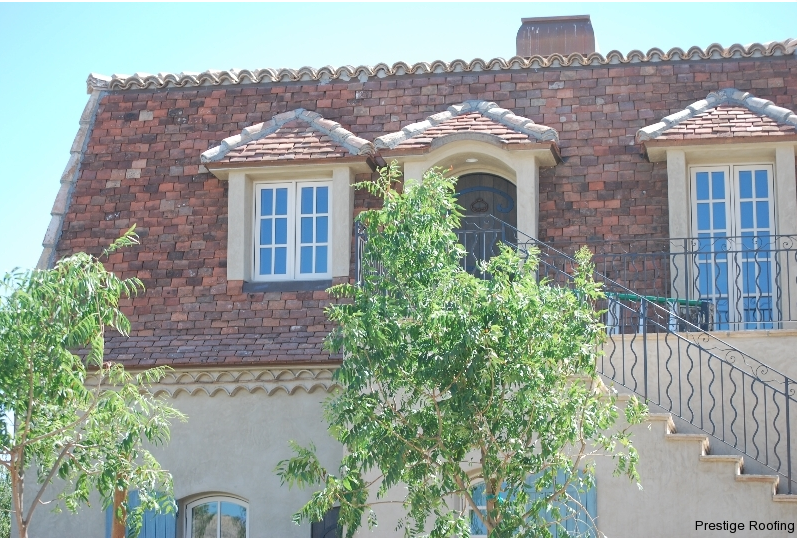 Tile roofing is a popular material particularly suited to our hot, dry desert climate. It is often used in homes designed in a Southwestern, Spanish Mission or Mediterranean style. Besides its durability, tile provides a clean, modern look. 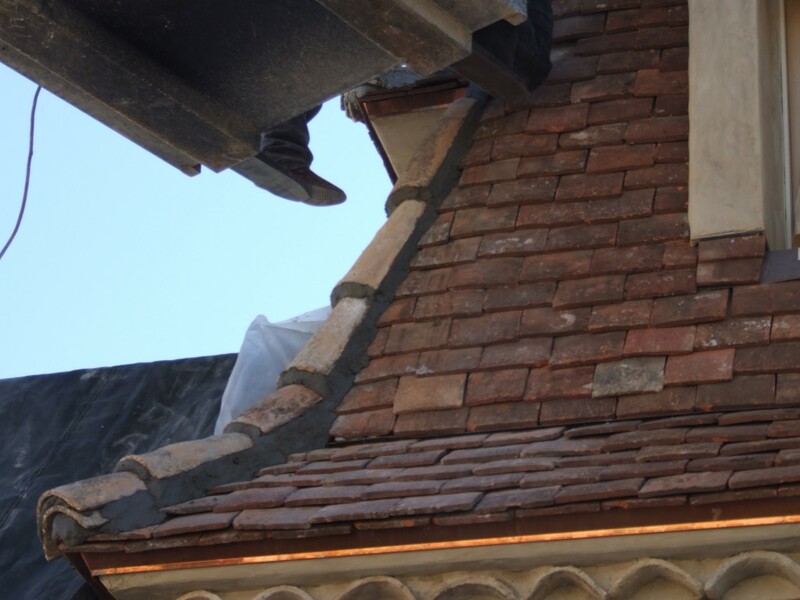 Roof tile is avaialable in various forms: ceramic, baked, clay, terracotta, slate or concrete. Since tiles are fabricated by mixing materials and dyes, they are available in a wide range of colors and styles. Styles range from tiles that mimic the look of wood or slate to brightly colored ceramic tiles. Tiles may even be recycled from older structures. Used tiles can add a unique classic look to a custom home design. Tile provides a durable and long-lived roof that is also fire-safe and insect resistant. It also resists mold and does not usually fade. Tiles may break if walked on but they can be repaired and replaced usually without causing major work if the damage is localized. Tiles are heavy so the home must be structurally built to carry the weight of a tile roof for the long lifetime of the tile roof. The slope of the home should not be less than 18-degrees to allow for rainwater runoff. Tile roofs may last 50 years or more so they are an excellent investment for any home.